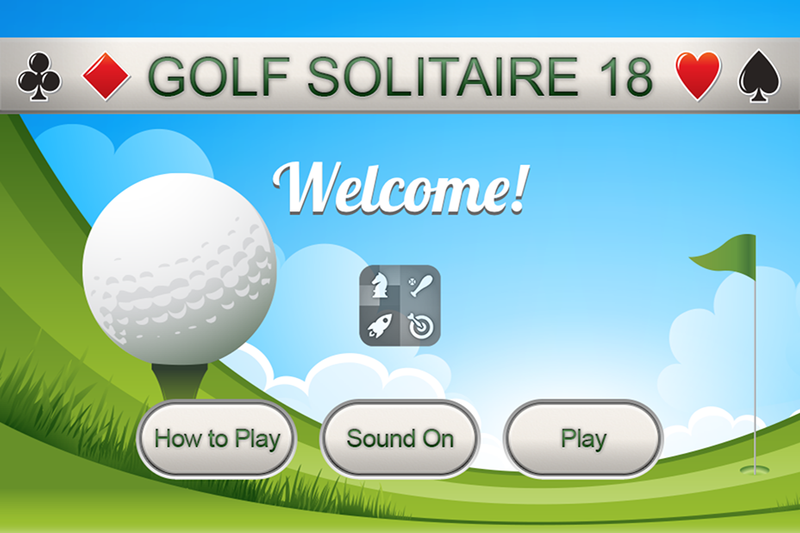 If you love solitaire then you will love this amazing take on the classic solitaire game of Golf Solitaire featuring a full 18 holes of excitement. 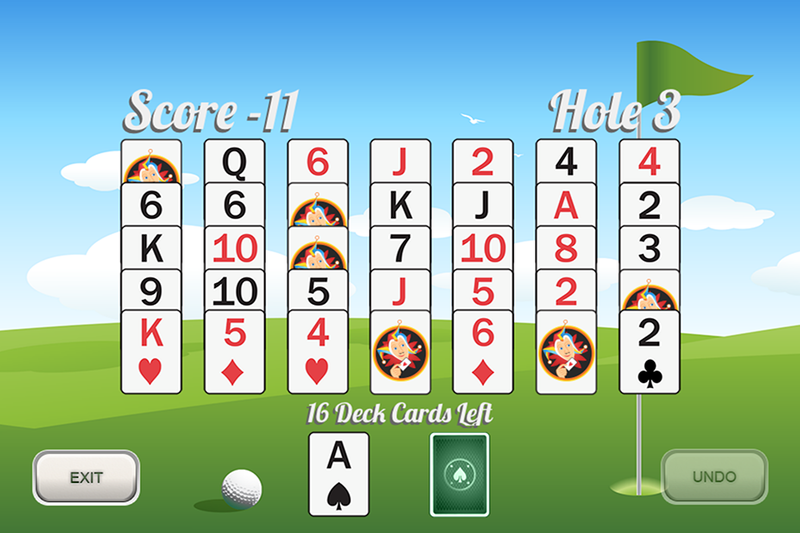 Golf Solitaire 18 is played with a standard 52 card deck where 35 cards are dealt face up into 7 columns of 5 cards (the board). The 17 cards that are left are deck cards which can be turned up one at a time. The cards at the bottom of each column can be played against the face up deck card if it is one lower or one higher. Wild cards can match anything. 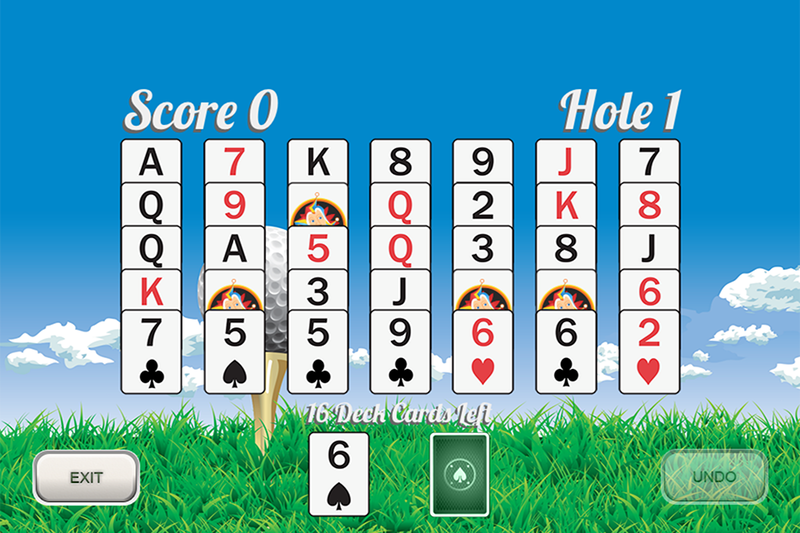 The object of the game is to clear the board using the fewest cards possible in each of the 18 holes you play. 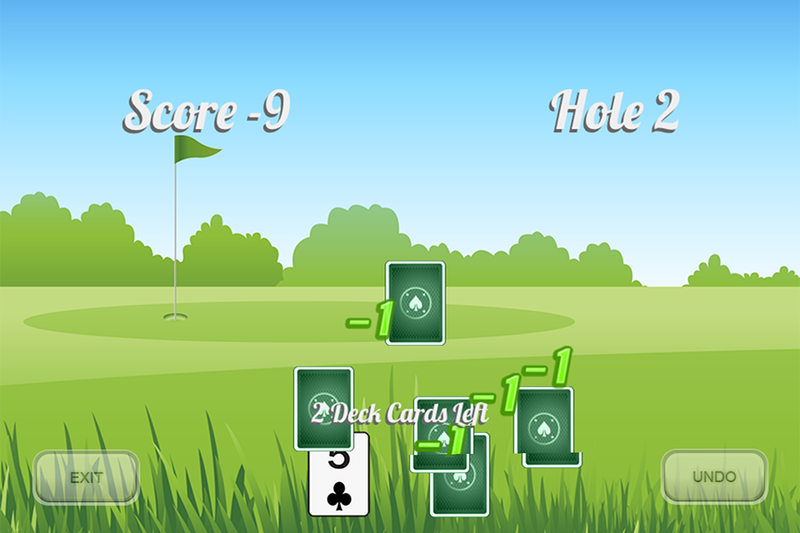 At the end of each hole you can lower your score by one for each card in the deck remaining and increase your score by each card on the board you did not clear. The lower your score the better you are doing.